Nice composition, it's gonna look amazing ! Some very early colors and rendering. Still figuring things out. The lower part of his body is smoke so that shape is supposed to be part of him. I see how this is confusing i'm hoping to make it more readable by the end. hope that counts xD. Thanks for the clarification tho :). Some progress. Not a fan of the composition at all so i'll keep moving things around hoping to find something that looks better. Will update soon. Wow... this is amazing. Your painting skills are incredible, and your style is extremely appealing. I love it! The lighting and rendering is looking good so far but I'm just not sure whats going on in the illustration at the moment. Are the other creatures being created from the smoke? The creatures around him are really cool though. They don't take away from the main character and make for some cool companion characters. Guessing both are demonic bats? Nice stuff. impressive work @Firathion ! love the designs and overall look! look forward to see how you will finish the final illustration! Backview is almost done. 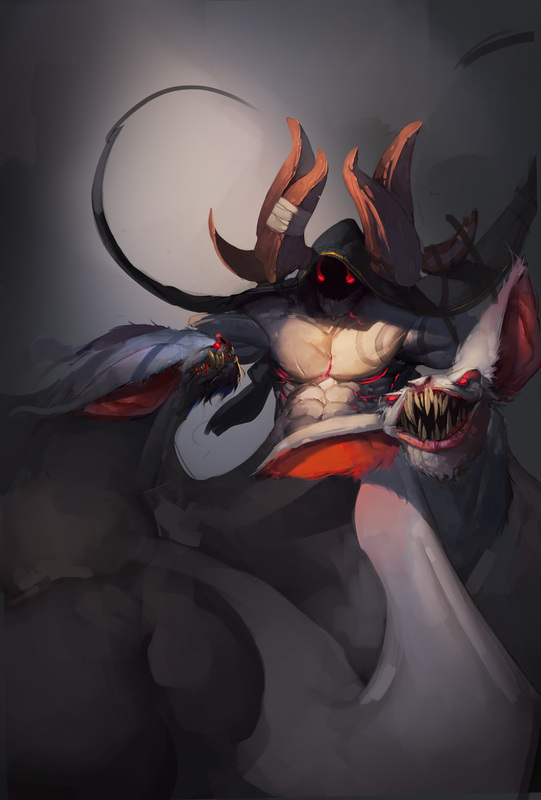 Need to finish the horns and then i'm off to finish the illustration. Tried a few things and the only thing that (kinda) works is replacing the dark colored bat with a white one. 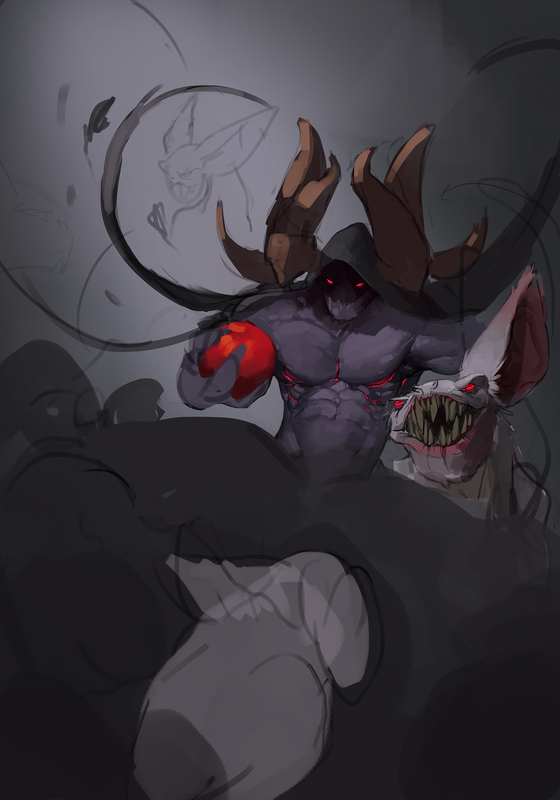 Still not sure if i'll finish it tho. I really need to study some composition etc :/. That concept sheet is so epic dude! Great work ! Nice back view. I believe you'll finish. Just focus on making something bad like the character already is. You'll figure out a good comp. Keep it up. This is looking epic. As for the illustration, my opinion's that he takes up too little of the composition. It's obvious who the main character is, yet he's almost like a background for the bats (at the very least they feel like equals, I don't know if that's intended). Maybe play around with the scale a bit? @sanguine Thanks, it means a lot! :). @malcom Thanks for the support my friend :). 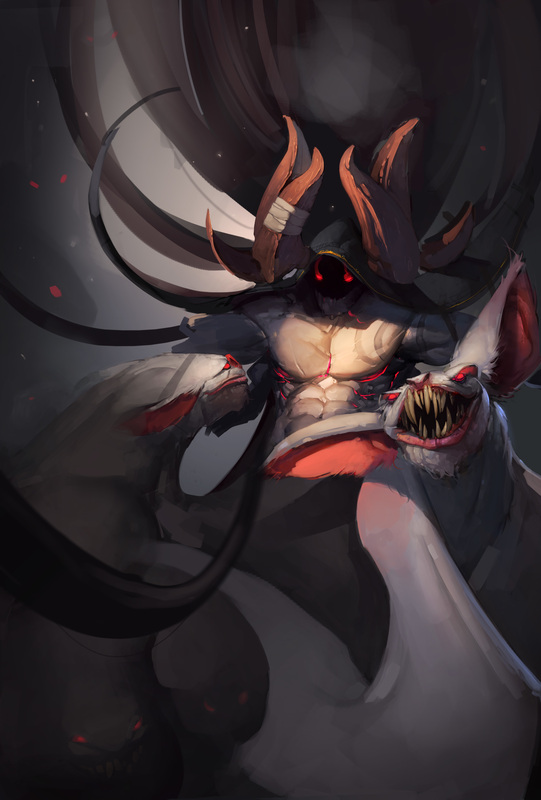 The bats are supposed to be his minions, summoned through his own smoke/etherial body. I completely get why the painting doesnt help the viewer understand that tho and it's why i'm not very happy with it. Nevertheless i really appreciate the feedback as always. I'll keep improving the painting. @grafik Looking forward to hearing back from you once it's finshed :). @rgdraw I appreciated it :D! @sparksofdawn Thank you for the feedback mate it's much appreciated . Reading your comment made me really happy. This is exactly what i had in mind when coming up with the character. I wanted to capture that nostalgic fairy tail feeling while making him as badass as possible. I'm glad i got the point across! As for the illustration i'll keep pushing and improving it :). What do you guys think about those tentacle thingies? I was hoping that another dark shape above him would balance things out a little bit. 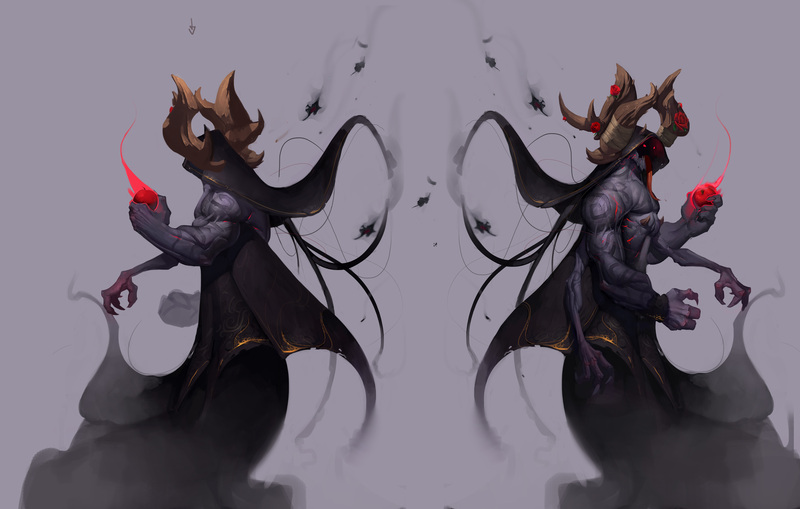 So the idea is that they could either be part of his cloth, kinda like big threads or actual shadowy tentacles that reach out his enemies and engulf them in nightmares. Really not much to add. This is coming along nicely.